When you are injured in a personal injury accident, you may be contacted by an insurance adjuster from the other party’s insurance company. The insurance adjuster is investigating the accident and your claim. Regardless of what the adjuster may tell you, the adjuster is not working for you. The adjuster is not “on your side” or “working to get you some money quickly.” Instead, the adjuster is looking for evidence that he can use to lower the value of your injury claim. If the adjuster can deny the claim, that would be even better for the insurance company. The Pinder Plotkin Legal Team works for accident victims like you. Our Maryland personal injury lawyers have your best interests as their top priority. You can trust that when you work with our team, we are on your side and working to get you the money you deserve for your injury claim. Call 410-661-9440 to schedule a free consultation with one of our Maryland injury lawyers. The insurance adjuster or other representative for the insurance company may tell you that you must provide a recorded statement before the claim can be processed. It is usually not in your best interest to provide a statement without consulting with a personal injury attorney first. A recorded statement could jeopardize your ability to recover full compensation for your accident claim. The insurance company may pressure you to provide the statement because it knows that you need money to get your car fixed or to pay medical bills. However, the true reason the company wants a recorded statement is to obtain evidence it may use to lower the value of your claim. Do not fall for this common insurance company tactic. Instead, call Pinder Plotkin LLC to talk to an attorney for free. You do not need to make this decision alone. Our Maryland personal injury attorneys help you avoid insurance company tactics like recorded statements to increase your chance of recovering a fair and just settlement for your claim. What Type of Information Does the Insurance Company Want from Me? When the adjuster or representative for the insurance company takes your statement, he will ask you a variety of questions. Some of the questions appear logical, such as how the accident happened, what injuries did you suffer, have you been out of work, and are you still receiving medical care. However, the adjuster will “chat” with you about your day. He may ask what you were doing immediately before the accident, how did you sleep the night before, and whether or not you ate breakfast that morning. While these questions seem innocent, the questions are really designed to make you feel at ease as if the adjuster is your friend. He wants you to feel comfortable to talk about anything. The adjuster knows that if you continue to talk the adjuster may uncover information he can use to lower the value of your claim or deny your claim. For instance, if the adjuster can get you to admit you overslept and were trying to get to work as quickly as possible, he could argue you were speeding at the time of the crash because you were running late. On the other hand, if you say that you have been having trouble sleeping and used a sleeping aid to get some rest, the company may claim that you were drowsy at the time of the crash. Even though these arguments may not be true, the insurance company could use the information to convince a jury you were partially at fault for the accident. Many insurance policies have language requiring you to cooperate with any investigation. 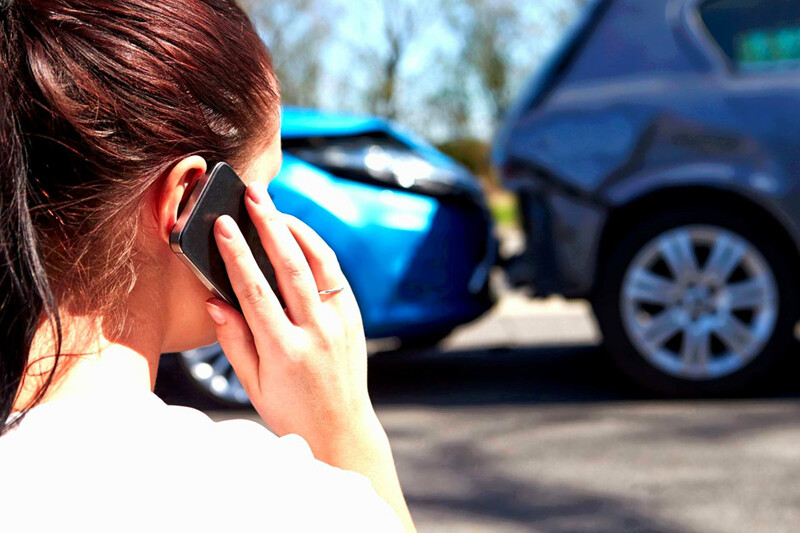 Even though you may need to provide a recorded statement to your insurance company, our Maryland accident attorneys urge you to contact our office immediately to discuss the best way for you to satisfy the request. In a recent Court of Special Appeals case, Dolan v. Kemper, the court sided with the insurance company stating that it was entitled to require an examination under oath (EUO) pursuant to the insurance policy. While you do not want to give the insurance company a valid defense to your claim, we believe you need an attorney to represent you during the EUO to protect your legal rights. Contact Pinder Plotkin LLC by calling 410-661-9440 for a free consultation with an attorney with the Pinder Plotkin Legal Team.